We have had a blast the last few months supporting our clients and building and promoting social impact focused events. From education to energy management, the start of this year has brought exciting opportunities and new collaborations. We started 2019 with the Oregon Wine Symposium. This annual gathering of over 1,700 industry professionals offers those within the wine industry the opportunity to connect and learn through four separate content tracks dedicated to Viticulture, Direct-to-Consumer Business, Executive Business and Enology. Next, we went to Denver, Colorado to support the Women of Renewable Industries and Sustainable Energy Leadership forum. This incredible event was sold out and excitement was high! Over 300 passionate energy industry professionals from across the country gathered to share best practices, gain professional development, and drive the advancement of women to achieve a strong diversified workforce and support a robust renewable energy economy. Each attendee left with the tools and motivation to take on upcoming challenges within the energy industry along with advice to moving forward their own career goals. We closed out the month of February at the University of Washington in Seattle, WA at the second annual Washington Oregon Higher Education and Sustainability Conference. This gathering of higher education leaders was an inspiring mix of action and discussion as 500+ attendees connected to learn about new strategies to drive climate justice, equity and work towards a unified goal of advancing a sustainable future in higher education. Each session was jam-packed with inspiration, hard truths, and collaboration. We were standing-room only for our equity and diversity track and had the opportunity to learn about the revolutionary Juliana vs. United States case, which focuses on advocating for climate justice through legal action. The WOHESC Opening Plenary Inspired Students, Educators, and Community Members. We’ve spent the month of March working together to prepare for a busy spring filled with social cause events. As a woman-owned business with a staff of strong female leaders, honoring International Women’s day is extremely important to us. We believe in advocating for equity and equality and using our position as an events management company to support organizations that do the same. We could not imagine doing this without the leadership and support of our incredible staff of women and men. We took some time on March 8th to appreciate our staff and recognize the impact that women have on our work and the world around us. Our events focus on supporting social and global betterment in a variety of ways though one common theme throughout is an appreciation for equity, diversity, and leadership. This spring we will celebrate Earth Month with the Corporate Sustainability Collaborative, supporting green development and sustainable growth across the city of Portland. May will be a busy month and we can’t wait! Beginning at the Environmental Leader and Energy Manager Conference (ELEMCON), May 13-15th where our team will support leaders from across the energy and environmental management fields at this conference dedicated to helping attendees lower their energy usage and support environmental conservation for corporate good. We will spend Sunday, May 19th at Portland State University’s Viking Pavilion for the Visiting Sage Future of the Oceans Event with Dr. Sylvia Earle and then head to the Green Transportation Summit and Expo in Tacoma,Washington, an event offering Fleet Managers and those within the transportation industry the chance to learn about the latest in premier fleet modernization and alternative fuels with like-minded industry leaders. As we close out the spring we look forward to a busy summer of events, staff connection and hopefully enjoying some gorgeous sun in the Pacific Northwest. Be sure to check back in to see what’s next for Social Enterprises! Social Enterprises worked tirelessly this past quarter to bring our clients the best in event experience. Our team hit the ground running with two back to back events and hasn’t stopped moving since. We are thankful to work with some incredible organizations to build events that strive for a better future. We started September down in San Francisco for Carbon Smart Building Day. The event centered on decarbonization of the built environment; as architects, engineers and more focused on the tools needed to thrive in a zero net carbon future. We were delighted to see over 250 passionate attendees focus on solutions for carbon reduction. The Shades of Green Forum in Portland, OR worked to promote a discussion of inclusivity and diversity within the energy industry. Attendees came together to find strategies to build a diverse workforce. As part of the Shades of Green Forum, we had the opportunity to organize the Van Jones Visiting Sage event where we were able to learn Van’s perspective on diversity, how his experiences throughout his career have shaped his view and much more. This week’s focus on green energy and a diverse future left attendees feeling inspired, hopeful and action-oriented. The team ended September at Rewards Northwest where industry professionals came together to hear the latest in total rewards and benefits strategies. We organized this biennial event dedicated to giving individuals and organizations the opportunity to develop their management strategies while furthering their careers and creating best practices. Our Team Celebrates Another Successful Event at Rewards NW! Our 11th annual Go Green Portland occurred in October, giving attendees the chance to connect with professionals in a variety of sustainability-focused roles and industries. We were so excited to connect with another passionate audience on the subject of green solutions and collaboration. From our keynote speakers to each breakout session, the day was full of action and discussion. Attendees Connected Over a Discussion of Climate Change and Collaboration. Social Enterprises took a break from the Portland weather to head down to sunny Sacramento California for the NorCal Fleet Technology Forum & Expo where our team worked to bring together clean fleet professionals focused on alternative fuel solutions and clean fleet best practices. Event Manager Hannah Walker shows us the latest in clean fleet tech. Our final event of the year took us to Salem Oregon for the fifth biennial Within Our Reach conference where we celebrated the tenth anniversary of the Willamette River Initiative and joined public agencies, local tribes, students and community leaders in understanding the importance of our rivers. Within Our Reach gives attendees the opportunity to discuss the broad scope of ecological protection while connecting over a shared passion for environmental restoration and preservation. We are so happy to have been a part of this event since 2010 and were delighted to see such a passionate and successful turnout. Before the holiday season was in full swing our team took some time to regroup and reconnect. We spent the day learning how to better serve our clients and collaborating on new ideas. We look forward to starting 2019 with the passion and dedication that Social Enterprises is known for, bringing optimism and a fresh perspective to decades of experience. For more info on what we have in store for the new year take a look at our calendar and be sure to visit our site for specific event details. Social Enterprises is proud to have recently achieved Silver Level certification from Sustainability at Work! This certification recognizes our positive impact on our environment and our community through sustainable practices in our office environment. We are proud of the environmental, economic and social sustainability actions that we’ve taken as a business and are working towards ramping up our efforts in the months to come! If you are interested in getting certified with Sustainability at Work you can visit their website. Social Enterprises Inc. has re-certified as a B Corporation for another term! We are committed to the movement to use business as a force for good here at Social Enterprises, so we recently went through the process to re-certify as a B Corporation. We are proud to be a part of a growing community of more than 2,100 Certified B Corps from 50 countries and over 130 industries working together toward 1 unifying goal: to redefine success in business. Your business can join the movement here. February was an exciting month for the Social Enterprises team, as we were busy with two incredibly successful sustainable events. First we headed Spokane, Washington for the Washington Higher Education Sustainability Conference (WAHESC) hosted by Gonzaga University. WAHESC is a regionally focused event for those teaching, working, or studying within higher education to come together and learn about sustainability in academics, operations, and research. The event had over 200 students, 400 attendees and nearly 100 speakers, including 25 students speakers, who offered insights on current issues facing college institutions. We were blown away by the ideas shared and collaborations sparked around advancing sustainability on our campuses and in our communities! event for the Northwest wine community, with over 1,300 attendees and more than 170 exhibitors. Attendees heard the latest climatology report, tasted experimental wines, and walked the trade show floor between breakout sessions. At the Oregon Wine Soiree, attendees ate, drank and mingled with speakers sponsor and peers while they tasted wines from around Oregon. Our team loved putting together this event and are proud to announce that it was an overwhelming success! Our team worked strategically to infuse sustainability into these two events, it was considered at every stage of the process. We are looking forward to our upcoming GoGreen Conference in Seattle on Thursday, March 16th. Join us for a day of sustainability learning for business and public sector decision-makers! The Social Enterprises team was busy this year advancing sustainability through our 13 events in 2016 that aimed to further sustainability and social impact. Overall, our events gathered over 4,000 attendees and influential leaders to advance the environmental movement. Our team is grateful for our continued partnerships, as well as the opportunity to work on various new events in 2016. The Oregon Wine Symposium continues to be the premier platform on wine industry research and education in Oregon. The Symposium delivered relevant content to wine and wine grape industry professionals, and brought wine industry members from around the Northwest together to discuss issues, discover new tools and techniques, and network with industry suppliers – along with a full dedicated track devoted to sustainability. The 2016 Symposium was the Northwest’s largest trade show with over 170 exhibitors! The GoGreen Conference, hosted in both Seattle and Portland in 2016, hosted over 500 regional leaders, 57 speakers and over 50 partners focused on the theme of Greening Your Workplace and Green Building. This year’s theme delivered a track of content dedicated to the business case for high performance and deep green buildings; the importance of district and cooperative energy and applying the principles of green chemistry and engineering to sustainable building and product design. Other important issues addressed included putting a price on carbon pollution and how the updated 2015 Climate Action Plan works to drive private sector and regional economic development forward. The 2016 Green Sports Alliance Summit marked the beginning of a new tradition: hosting the event at a sustainable sporting venue that is a member of the Green Sports Alliance. Attendees were able to experience the Summit program at Houston’s Minute Maid Park, home of the Astros. Built on the theme “Power of Partnerships”, sports and sustainability industry leaders gathered to engage in advancing the greening of the sports industry. Check out our outstanding 2016 Summit Program here. School Food Focus brought us to Georgia this year for their 2016 National Gathering where change-makers gathered to ignite change in our 42 largest school districts and their school food systems. The National Gathering included influential keynotes, breakout sessions and an impressive vendor showcase, along with four onsite tours that highlighted local initiatives to improve school food. In early December, our team travelled to Oregon State University to manage Within Our Reach presented by client Meyer Memorial Trust. The event brought together over 200 attendees and regional leaders focused on improving the health of the Willamette River. The 2016 conference featured breakout sessions, a sustainable lunch sourced from Willamette Floodplain Farmers and businesses convened in support of watershed restoration.The two day conference concluded with a moving presentation by Chad Brown, a U.S. Navy Veteran and founder of Soul River, Inc, a nonprofit that joins inner city youth and veterans to become leaders in environmental justice. We’d love to see you at any of our 2017 events. To book your own event with Social Enterprises, please contact us to discuss further at info@socialenteprises.net. Here’s to another year of making an impact! This year was filled with amazing opportunities to partner with clients from a wide range of backgrounds to advance sustainability as a whole. In total we assisted with the production of 12 conferences in 2014 – with plans to add more in 2015! We are committed to enhancing local communities by creating high-level, revenue-generating, innovative events that educate attendees and help create a socially-driven, sustainably minded world. Our ultimate goal is to create memorable collaborative experiences that empower sustainable communities. We are also committed to producing sustainable events that minimize environmental impacts and make positive economic and social impacts on the communities we touch. We implement a comprehensive policy based on industry-wide standards across the entire lifecycle of each event. If you haven’t done so already – Click here to read the Social Enterprises Sustainability Policy. Preview our 2015 line-up of events here. We hit another milestone as an organization in 2014 when we committed to the B Corporation framework. We are able to hold ourselves accountable to the same standards we recommend to our clients, and assure our stakeholders that we mean business when it comes to implementing the triple bottom line across all aspects of our enterprise. Learn more about our B Corporation status and find other businesses committing to #BTheChange. 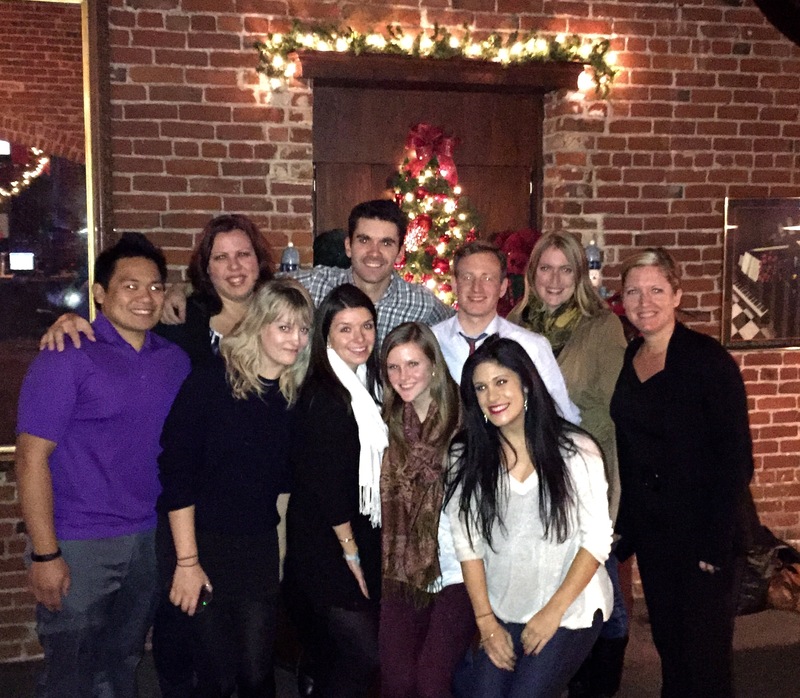 Cheers to 2015 from the Social Enterprises, Inc. team!